Pipeline Services places a great deal of emphasis on quality control at each and every stage of our work and strive to operate to high standards and guidelines set by the industry regulators. 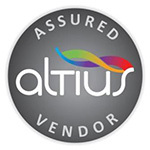 Altius VA Ltd was founded in 2007 by its current directors to provide significant benefits to anyone working with, or within, a supply chain. 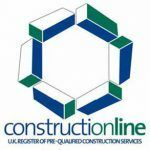 The Contractors Health and Safety Assessment Scheme - CHAS - is run jointly by a number of Local Authorities across the United Kingdom. ISO 9001 is a family of standards for quality management systems. ISO 9001 is maintained by ISO, the International Organization for Standardization and is administered by accreditation and certification bodies. ISO 14001 is a family of standards for Environmental quality management systems. 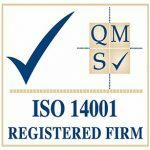 ISO 14001 is maintained by ISO, the International Organization for Standardization and is administered by accreditation and certification bodies..
One of the leading food producers in the UK and Ireland. 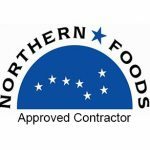 DCL are an approved contractor for Northern Food. 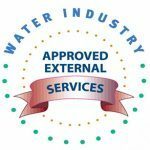 Watermark is one of the seven Approved Contractors'Schemes operating under WaterSafe. The Water Industry Approved Plumber Scheme. WRAS is a subscription membership company limited by guarantee and was incorporated on 4 August 2008. The subscribers of WRAS are the 26 UK Water Suppliers.